Double-diffusive convection is a mixing process driven by the interaction of two fluid components which diffuse at different rates. 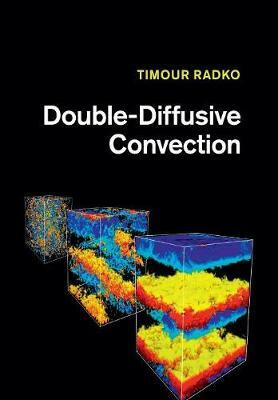 Leading expert Timour Radko presents the first systematic overview of the classical theory of double-diffusive convection in a coherent narrative, bringing together the disparate literature in this developing field. The book begins by exploring idealized dynamical models and illustrating key principles by examples of oceanic phenomena. Building on the theory, it then explains the dynamics of structures resulting from double-diffusive instabilities, such as the little-understood phenomenon of thermohaline staircases. The book also surveys non-oceanographic applications, such as industrial, astrophysical and geological manifestations, and discusses the climatic and biological consequences of double-diffusive convection. Providing a balanced blend of fundamental theory and real-world examples, this is an indispensable resource for academic researchers, professionals and graduate students in physical oceanography, fluid dynamics, applied mathematics, astrophysics, geophysics and climatology.